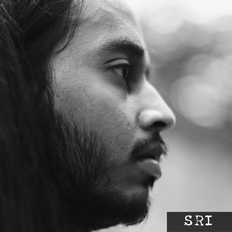 Sri (aka Srijit Bhowmick) is an indie singer-songwriter from Bombay. His music is a combination of strong storytelling, thoughtful lyrical themes and quirks, and an extremely good and melodious voice - the distinct phrasing and style of which is hard to miss. His songs have themes which are often about heartbreaks, poetic misadventures of the downtrodden, or the ordinary boorishness and humdrum existence of everyday life, and yet, not just. As such, his songs are carefully crafted intertwining of expressions and melodies into nothing but stories of our lives - some that could be, some that are and some that may never be. After years and years of working on his craft, Sri started performing his own material live from 2016 onward. Since then, he has played many shows in Bombay and elsewhere leaving his audiences at shows, spellbound and in awe of the uniqueness that his music brings. To name a few shows, he has played Sofar Sounds sessions (Bombay, Ahmedabad, B’lore), at High Street Phoenix Mall (Bombay), at Alliance Franciase D’Ahmedabad, at The Habitat (Bombay), Bandcamp (Bombay), The Piano Man Jazz Club and Depot 48 in Delhi, at Terminal 11 (Calcutta), at The Hive (Bombay), at Blooperhouse Studios for Playtoome (Calcutta), at Pitaara – The Art Box (Bombay), at Vault Lounge Bar for FNO S03 Launch (Calcutta), The Candyman’s Tape Deck Vol 01 (Ahmedabad), a Beatmap House Party (Bombay), at The Finch (Bombay), Bandra Base (Bombay) amongst many others while also having put up his own shows such as My Indie Playlist With Sri Vol. 01 (Bombay), and three editions of Folk Sessions With Sri (Bombay). He eventually released his self-titled debut EP ‘Sri’ in August 2017, to showcase a glimpse of those very qualities that together makes his music his own. It was followed by a bunch of shows, playlist selections, rave reviews and interviews on indie music blogs and media platforms such as on topfiverecords.in, sbcltr, the orijinal mag, amongst others including a feature on Apple Music's The A-List: Indian Pop playlist. 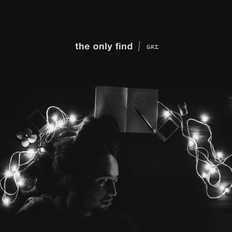 He is currently working on his first professionally recorded release called ‘The Only Find’ EP that will have five new songs, and was also successfully crowdfunded for, and is scheduled for a release in Jan 2019 on all major digital platforms.